In a perfect scenario, your home will be free of wires, cables and large devices. Its handy to have devices you can take throughout the home or office without limitations of where and how you use it. And who likes cords and cables all over the place, creating trip hazards and eye sores? Not me. With that said, I still encounter times when I prefer a hardwired connection to a wireless one. 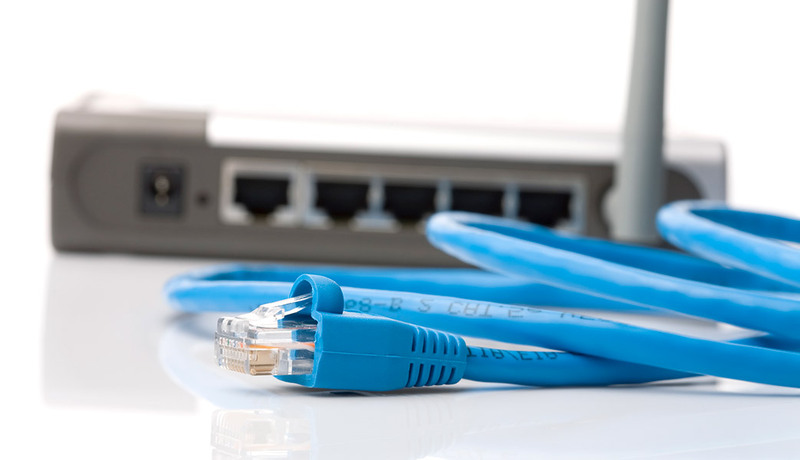 There are several reasons you might also consider a wired connection for your broadband experience, as well. Let’s look at the benefits and challenges of wireless networks below. The most obvious benefits of a wireless connection is it’s mobility and versatility. Want to lounge on your back porch while you finish the last episode of your latest Netflix binge? A wireless network will allow you to do that. Want to lay in bed and check your Facebook feed before you nod off? Well, your wi-fi will allow for that, as well. Want to carry your tablet into the monthly board meeting down the hall? Well, go for it. These are common examples we can all relate to and easy reminders why wireless networks are so important to our recreational and work environments. Not only that, but more and more devices are coming out with no Ethernet port, at all. Smartphones, tablets and mini-laptops often don’t include Ethernet ports, which means wireless is your only option for those devices. Game consoles, traditional laptops and desktops and some streaming devices still have a hardwired option as of today; but there’s no guarantee what the future holds for future models of these devices. Far too often, wireless signals can be blocked or interfered with. Have a cordless phone, microwave oven, shortwave radio, satellite dish, brick walls or metal roof? Most likely you have one or more of these, and if you do, expect the occasional hiccup with your signal. The size and layout of your home or business, and the location of your wireless router found therein, is also a potential problem with your wi-fi signal. Sometimes, range extenders are necessary to ensure a signal can be found in each room, in the yard or by the pool. Also, Wi-fi routers are becoming increasingly complex. Going for the most economical router isn’t always going to result in your best option. Depending on what broadband bandwidth package you have selected, your router might not even be able to dole out the speeds you’re paying for. Do your research before purchasing a new wireless router and make sure it will do what you need it to do. In that same line of thought, even if you have the best wireless router money can buy, your experience will be limited to the speed your device is capable of performing at. For example your iPhone is only going to get around 100 MBPS, even if you’re paying for a 1 GB broadband package. Meanwhile, a Lenova Thinkpad will connect at 300 MBPS over wi-fi, at best, even if you’re setting right beside your wireless router. Plug the same Thinkpad into a hardwired connection, and you’re going to hit around 950 MBPS on the same 1 Gig circuit. As you most likely realized by reading through this post, there is a trade-off when trying to decide between the speed and reliability of a hardwired connection versus the convenience and flexibility of a wi-fi network, and I only mentioned a few examples. I learned most of this the hard way, but I’m better off for it when deciding which to use. When I’m gaming, I’m going to plug my Xbox into my router and avoid some of the pesky wi-fi issues. If I’m going to catch up on my Netflix queue while resting in the backyard hammock, wireless is the only way to go. Knowing when and how to use my broadband connection only ensures that I have the best experience every time. You will want to make sure you do the same.